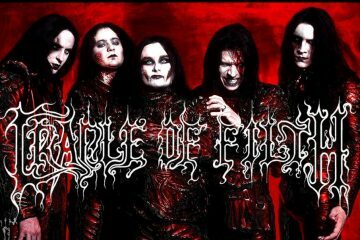 I wasn’t sure if I was going to hear the new album of CRADLE OF FILTH after my disappointment of “The Manticore…”. Needless to say I can’t remember a single song of that album although I heard it several times. 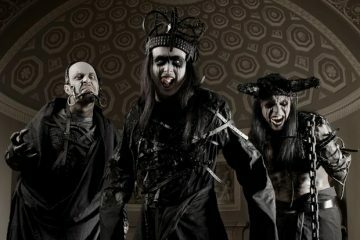 So I didn’t expect much from mr. Dani Filth and his company. 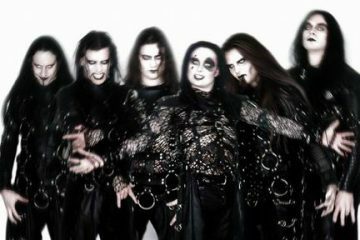 Even worse when Paul Allender left the band due to musical differences. Well now that eventually I’ve heard COF’s new album “Hammer Of The Witches” I’m glad I was wrong about them. Making a step backwards sometimes isn’t that bad and surely COF and their fans needed it (I damn sure did). Leaving behind those punk influences they returned to their suitable sound. Heavy riffs, thrashy parts, awesome drumming and Dani spitting his guts out (although time has its prize there). Always the atmosphere is there but in that album is more of in a filling role than an energetic part. “Midian” and “Cruelty And The Beast” (especially on the female vocals) are surely the most familiar albums with “Hammer Of The Witches” and I really enjoyed that fact. The production is really good and focusing on the heaviness of the sound. Also the cover represents the lyrical theme of the album, based on the medieval book Malleus Maleficarum which was used as a guide to persecute and torture witches. As for the performance of the members, Marthus (drums) is giving hell, also a good surprise for me, Ashok and Rich Shaw wrote some awesome riffs fitting “like a glove” to the whole COF music ideology. And Lindsay Scoolcraft did an amazing job on the female vocals, reminding me good old times from their glorious past. Despite the 3 intros/outros parts of the album the time length is over one hour of music. And the times I got boring of it were few. “Enshrined In Crematoria”, “Yours Immortally…”, “Deflowering The Maidenhead, Displeasuring The Goddess” (no mercy for the ones who write those titles on paper) and “Onward Christian Soldiers” are the ones I loved most from the album. 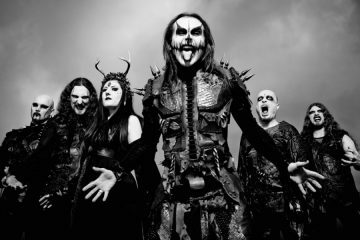 No, CRADLE OF FILTH are not reinventing anything with “Hammer Of The Witches”, but they surely did a very good album that will be heard from old fans with more enjoyable mood….I know I did!